The evening many years ago I stooped to talk to Tibetan Zanta as she sold trinkets on the streets of Beijing, I had no idea she would change my life so radically. I’m a journalist. That fateful evening in 2005 I was pondering how little I knew of the world of Tibetans with little formal education. Why would they want to come to Beijing to be street sellers? Though at the time I hadn’t considered this, I knew very little about the lives of Tibetan women. Back in 2005, Zanta had been recently widowed. She desparately wanted her only child to go to school. But her father-in-law in their remote mountain village was opposed. After a friend twisted my arm to make a documentary film, I started to learn more about Zanta and her son Yang Qing. The more I learned, the more I became involved. The more I learned about her struggles as a widowed, illiterate woman, the more I became determined to find a way for her voice to be heard by the outside world. 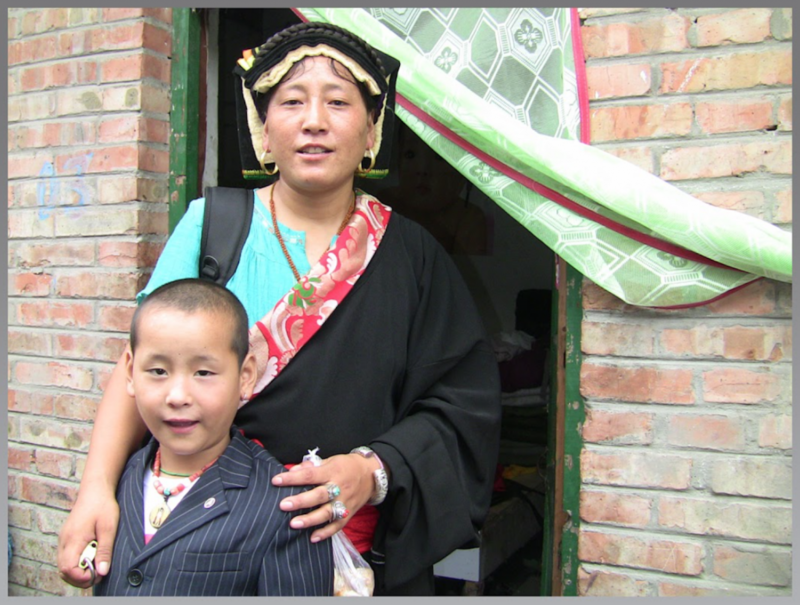 Soon, we were sharing a mission: Zanta needed income, and a school for her son. When I could, I offered to help. Then, the most beautiful part, my friends and friends of friends started to help. Some recommended international bazaars where she could sell her hand-crafted jewelry. Others recommended schools. 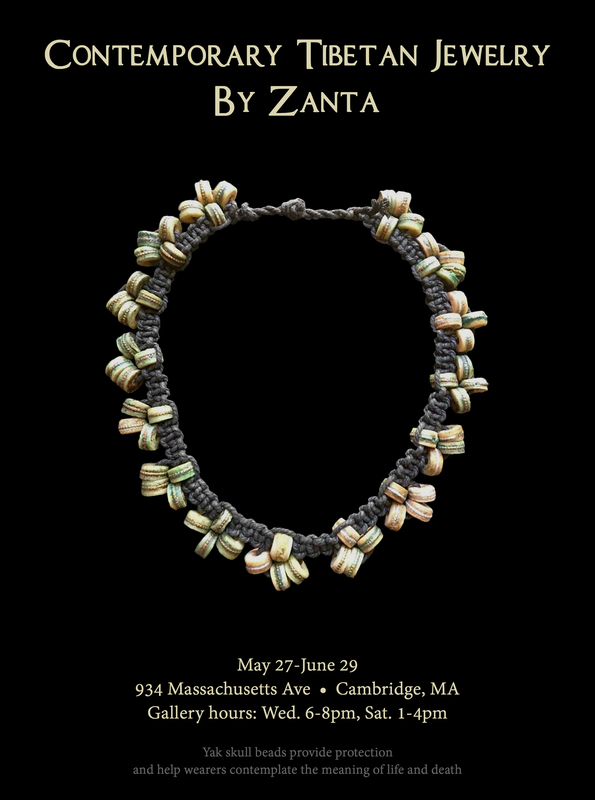 Zanta, with more financial stability, started to discover her inner creativity and her jewelry designs started attracting attention from the arts world. In 2016 a Boston gallery a stones’s throw from Harvard Square invited her to do a solo exhibition. Then the folklife center in the Smithsonian museum in Washington invited Zanta to a business skills workshop for Tibetan artisans, held in Chengdu. Soon thereafter Zanta conducted her first hands-on workshop on Tibetan jewelry culture and knotting. Then the folklife center invited her to the U.S.! We are currently working on the program. Twelve years on, against the odds, Zanta’s story has been heard around the world. My award-winning documentary has been translated into 11 languages, and been seen on TV in Europe and Asia. It even was a semifinalist in China’s Guangzhou International Documentary Film Festival. I’m now being invited into Chinese classrooms to do workshops on diversity appreciation in this globalizing world. Best of all, after much stress and persistence, five years ago we managed to enroll Yang Qing in a public school. He recently wrote an essay in hopes of going abroad for school that has brought perfect strangers to tears. As I write this, we have no idea whether this dream will come true. But if it does, it will be the result of the “village” that has collectively come together to support those who face obstacles beyond the imaginations and experience of most who will read this. A collective thank you to Zanta’s new global “village”!